At Pegasus we deliver top-notch quality and affordable pricing for printing of booklets, labels, flyers, calendars, catalogs, envelopes, magazines, pads, t-shirts, stickers, blueprints, and business cards. We provide full color printing and four color process printing services along with digital printing, print design, direct mail services, computer graphic design, and more, from our convenient location in Broomall, PA.
Graphic design has never been easier and more affordable and we produce your projects quickly and efficiently using the most advanced print technology. Whether a rush order or a full-color brochure, quality is our first priority. We are a full service document production company, eliminating the need to interface with multiple service providers. Not only will we print and copy your documents, we will do everything from design and layout to the bindery and packaging. We can even mail it! Pegasus is familiar with the special requirements of government communities and we go the extra mile to accommodate all customer budgets ensuring the lowest cost. 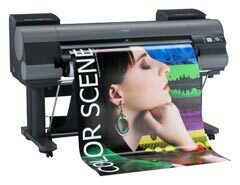 Our wide format department offers full service blueprint scanning, copying, and archival service along with color reproduction service for drawings, posters, and photographs. You can now order invitations and custom stationary online. Just click Invitation to access our online service.